improving the quality and the longevity of my patient’s lives. After completing my Bachelor’s degree in Art, I returned to school for a second Bachelor’s degree in Biology and my MD degree and Family Practice Board Certification. After more years of training I am also board certified in Anti-Aging Medicine, and Nutrient Medicine and a Fellow in hormonal therapies. I am fluent in English and Spanish and speak some French. My extensive and varied training background allows me to approach patients with an open mind and be truly integrative in partnership with my patients to help heal them, improve their quality of life, and prevent illness. 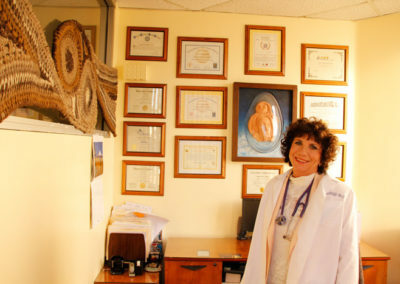 My goal is to use my Knowledge, Clinical Skills, and Intuition to integrate Conventional and Alternative strategies in the field of Healthy Aging, to prevent and reverse the devastating and debilitating effects of aging for all members of the family. Dr. Swerdloff’s extensive knowledge of hormonal imbalances and complementary/alternative medicine has dramatically enhanced and improved treatment for my( previously diagnosed ) auto-immune disease ( rheumatoid arthritis.) 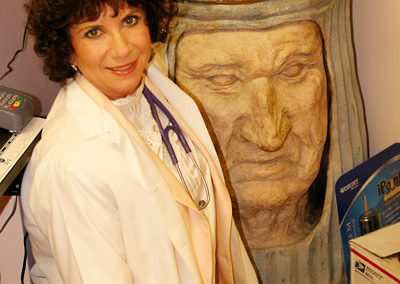 She looks “outside the box” for cause/effect of connecting/exacerbating symptoms, and is a master detective who explores all the connections that are not ordinarily apparent to mainstream physicians. I have referred colleagues, friends and patients who had previously not found answers to their medical problems to Dr. Swerdloff for consultation and treatment. 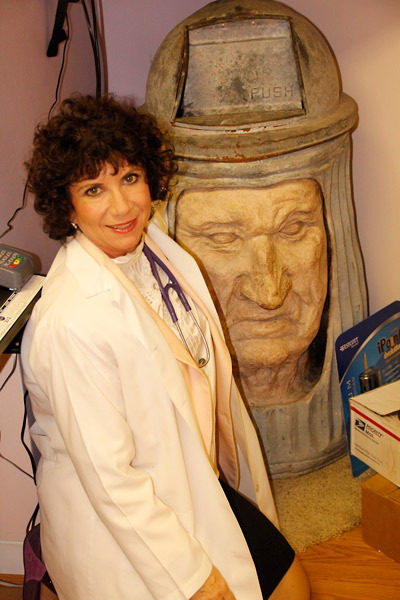 I highly recommend Dr. Swerdloff. I was taking Prozac and Welbutrin for 3 years for depression. Dr. Swerdloff re diagnosed the depression as a low thyroid condition and I am now off of the anti depressants and I feel wonderful. I have regained confidence in the medical profession because of this innovative professional. I focus primarily on wellness rather than dis-ease. if it has already occurred, then the problem is to be investigated and solved. Every month, more than 40,000 patients across the U.S. provide online feedback about their experiences with their doctors. They rate various components such as bedside manner, doctor-patient face time degree of follow-up, courtesy of office staff, and overall opinions. While physicians generally receive positive reviews from their patients, only a select few receive uniformly rave reviews with near perfect scores, like Dr. Swerdloff did. In fact, of the nation’s 720,000 active physicians, less than 5% were accorded this honor by their patients. 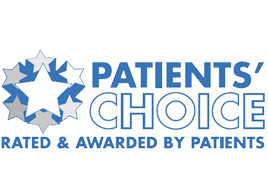 Dr. Swerdloff is, indeed, the Patients’ Choice; one of the physicians most highly regarded by their patients. My goal is to provide excellent quality health at the most reasonable price I am able to. 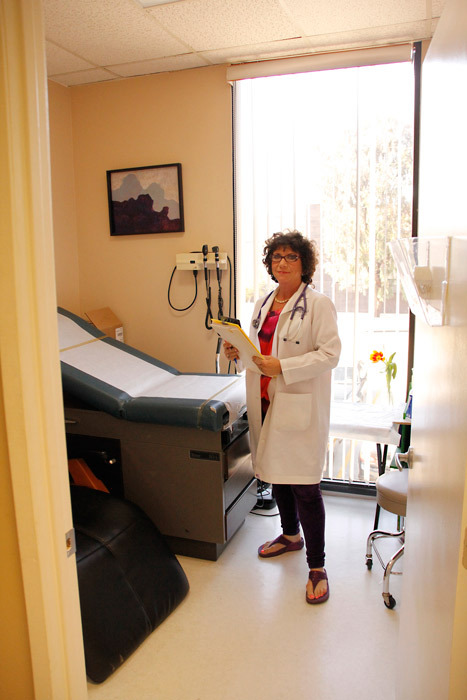 The health care I offer is individualized toward each patients needs. 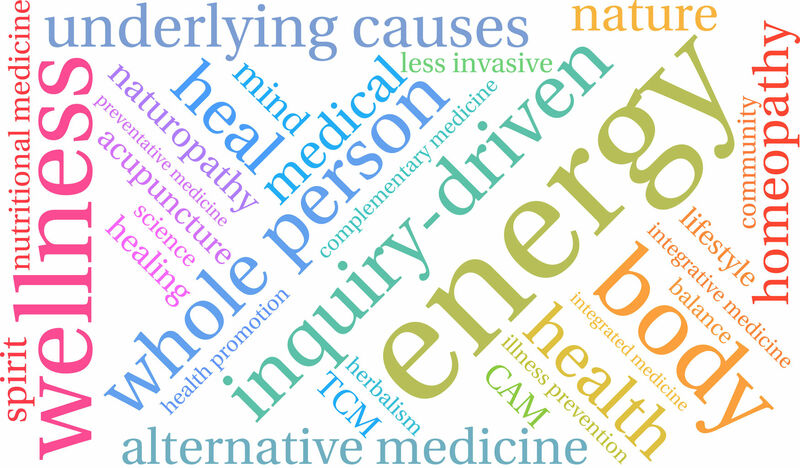 I integrate both the latest conventional (allopathic) and alternative approaches to preventive and therapeutic medicine. I would like to help my patients find the “Joie de Vivre” that will enable them to live more vital, healthier, and longer lives. I am open to using nutritional supplements, acupuncture, homeopathy, herbs, intravenous treatments, bio-energetic mind-body medicine, and spiritual techniques. I work with adult and children patients who have hormone imbalances, fatigue, nutritional, and energy deficiencies, heavy metal toxicity, gut disturbances, and environmental illnesses and autism spectrum disorders. Assist them in living longer and healthier lives with quality and vitality. My office is a calm, supportive, and comfortable environment designed to promote healing during times of difficulty and stress to support spiritual and emotional healing. We have developed protocols for complex medical issues such as environmental illness, chronic fatigue syndrome, bowel disorders, cancer, and viral illness. Because the dynamic nature of medicine and our culture, we are continually researching new therapies and are a clinical model to determine the effectiveness of non-conventional therapies. 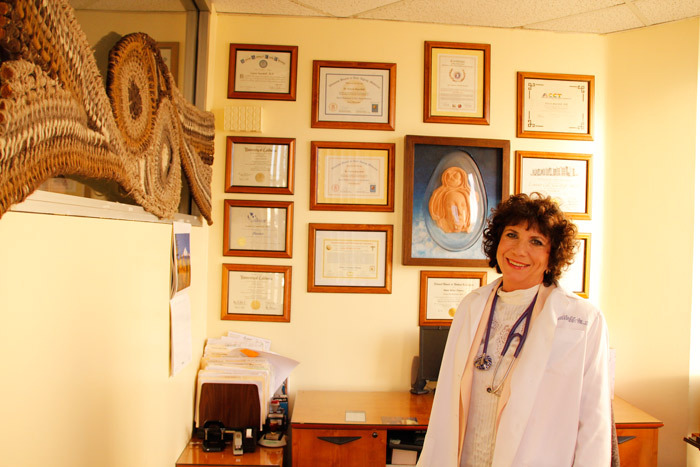 Dr Swerdloff has an unusual gift, her experience, open mind, and insight allow her to address health problems that are usually difficult to resolve and enable her to help her patients heal. 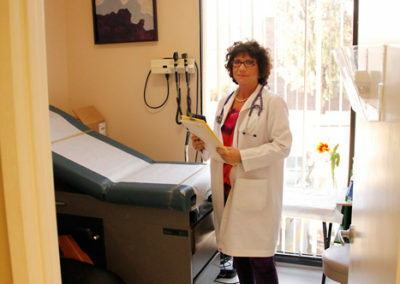 She accomplishes this by approaching each patient as an individual with a unique set of circumstances creating the current situation and as she listens to the patient she begins to unravel and uncover the variables to help the patient solve the equation equaling better health through nutrition, a full complement of bio-identical/natural hormones, detoxification, Homeopathy, and exercise. Integrating and blending conventional and alternative techniques she pays attention to the mind, body, and the spirit in her approach and solutions. What patients really like best about Dr. Swerdloff is that she listens to them, she hears what they are saying and asking. If you ask her she will say she learned it from her mother who was a phenomenal listener. 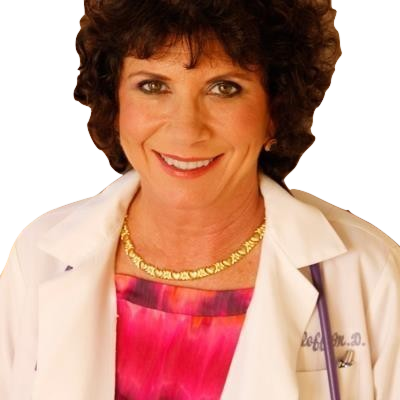 That upbringing combined with her extensive training in conventional medicine, hormones, prevention, alternative therapies, nutrition, and Anti-Aging medicine and an open mind allows her to draw upon a wide range of possibilities for optimizing health. When she was 17 years old Dr. Swerdloff’s new puppy was found to have a disabling type of arthritis and she was told he needed to have expensive surgeries to insure that he would be able to walk again. Back then surgery on dogs was not so common or accepted as it is today and not within her families means. So when another dog owner whose own dog had failed the surgery and was destined to using a cart to move his rear end, suggested an experimental program for acupuncture on dogs as a free alternative. Dr. Swerdloff brought her dog limping in and watched as he limped in and walked out week after week for about three months. When the dog stopped limping and lived for nearly 15 years without limping, Dr. Swerdloff knew that there was something to Acupuncture beyond placebo that helped heal her puppy. After completing her Bachelor’s degree in Art she followed the Universities Student health center’s Doctor to his new private acupuncture practice. She experienced first hand the benefits her old dog had felt so many years before. She returned to school for a second Bachelor’s degree in Biology and a plan to go to medical school followed by acupuncture school. Ten years later, after many acupuncture treatments her MD degree and Family Practice Board Certification behind her, she decided not to continue on to acupuncture school but chose to refer instead. Her own experiences with allopathic medicine’s misdiagnosis and delayed treatment of a common hormonal imbalance nearly left her childless and debilitated. Her searches for answers for her own recovery lead her to explore alternative medical treatments and bio-identical hormone replacement. And finally to the physician whose great grandfather discovered how to treat hypothyroidism. 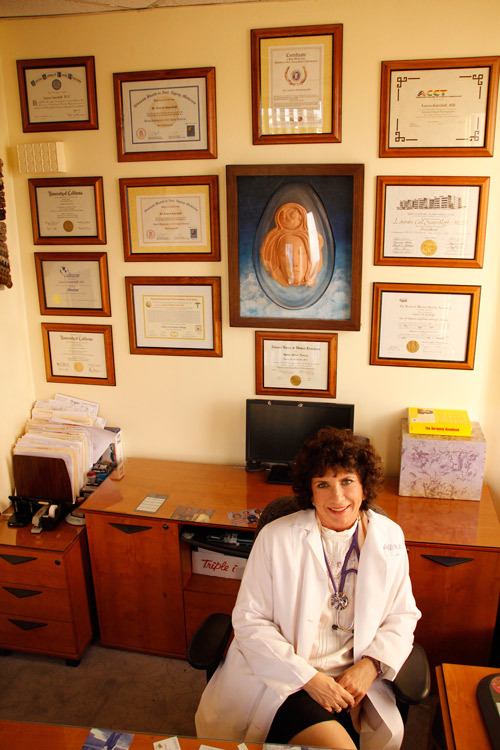 After more years of training she is now also board certified in Anti-Aging Medicine, Nutrient Medicine. Currently she continues her studies as a fellow in hormonal therapies. Her extensive and varied training background allows her to approach patients with an open mind and she is truly integrative as she works in partnership with her patients to help heal them, improve their quality of life, and prevent illness. Along the way she was introduced to the use of Thermography as a no radiation adjunctive scanning technique for Breast cancer prevention and treatment monitoring as well as for many other conditions. California Medical Center, Urgent Care. University Of California, Santa Cruz, Lab Assistant, Division of Microbiology. Santa Cruz, CA. Analysis of the Cell Specificity of Beta-endorphin influence on Lymphocyte Function; Gilmore, Swerdloff, Weiner, USC Dept. of Neurology; 1985. 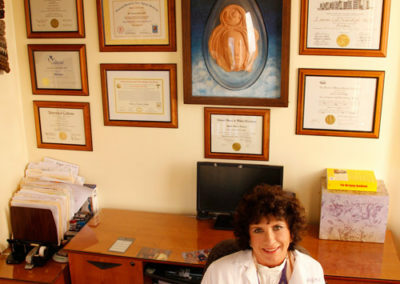 Lauren Ciel Swerdloff MD Medical Corporation Inc.